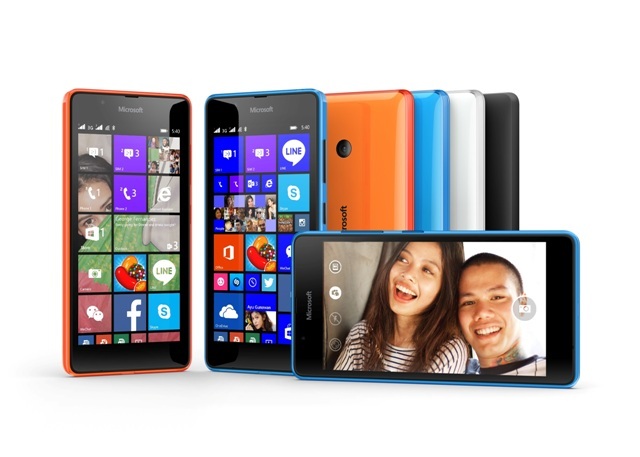 Microsoft has unveiled the Lumia 540 Dual SIM, targetting young, ambitious people looking for their first smartphone. The Windows Phone 8.1 Lumia helps people stay productive on-the-go with Microsoft services like Skype and Office available out-of-the-box, and enables better mobile experiences, such as taking wide-angle selfies that fit in more of the action, thanks to the front-facing 5 megapixel camera. Starting at Sh13,500, the Lumia 540 is priced to appeal to value-conscious consumers in markets like India, the Middle East and Africa and AsiaPacific. The Lumia 540 Dual SIM features quality-crafted hardware including a removable, durable back cover with a luminous, layered design. Built-in Skype integration enables people to switch seamlessly between voice and video calls, with the wide-angle, front-facing camera capturing even more of the conversation. The rear-facing 8-megapixel camera captures detail-rich photos with the help of a LED flash. Available apps include favorites such as Facebook, Twitter, WhatsApp and Instagram, with thousands more available from Windows Phone Store. Microsoft services like Office, Outlook and up to 30 GB of free cloud storage via OneDrive mean people have the productivity tools to achieve more, anywhere. Smart Dual SIM allows people to assign unique profiles to their SIM cards, such as “work” or “family,” to help them better manage daily communication. The Lumia 540 Dual SIM is powered by a Qualcomm Snapdragon processor featuring a quad-core CPU running at 1.2GHz, 1GB of RAM, and 8GB of mass memory. The device will start rolling out in India, the Middle East and Africa, Asia Pacific, and Italybeginning in early May 2015. It will be available in four colors: cyan, orange,white and black.